I love bagels. Toasted whole wheat bagels with melted butter and strawberry jam, or marmalade, depending upon my mood. 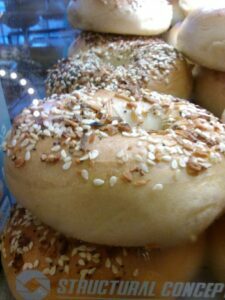 Bagels with cream cheese, smoked salmon, tomatoes and onions, or just a plain cranberry orange bagel, and the list goes on. 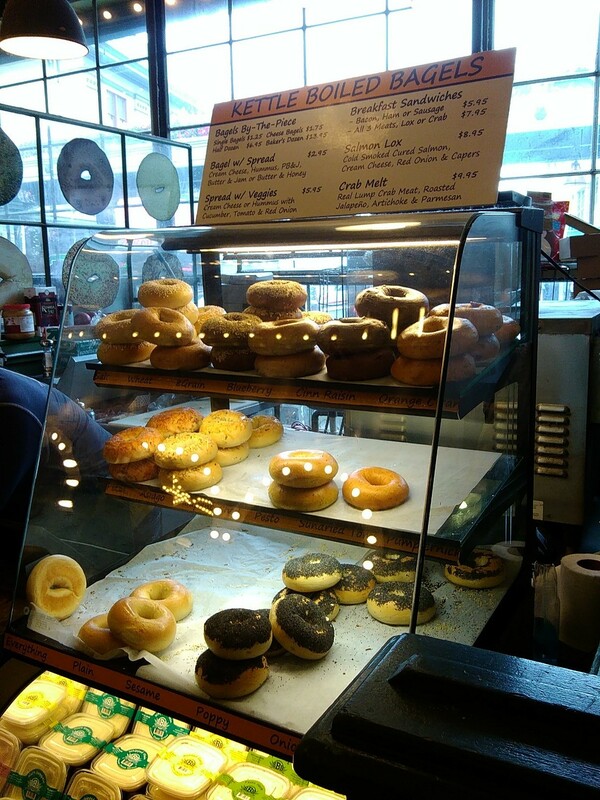 When we lived in Ballard, I used to buy my dozen while grocery shopping at the Ballard Market. After moving to Downtown Seattle, I was on the hunt to find my next dozen. I landed at Market Bagels at 1525-1st Ave, at the Pike Place Market which was convenient, but they closed some months back. Then I found the Howell Street Bagel Bakery & Café ), and then they closed this past summer. Hard to make ends meet with the high rents in Downtown Seattle, plus old buildings are being taken down in the name of progress. Now I buy my stash at the Seattle Bagel Bakery counter located at 96 Pike Place Market right across the way from Delaurenti’s. It’s open seven days a week from 7:30am-5:30pm. They’re a bit more expensive at $15.28 for my baker’s dozen of 13, and the staff are not that friendly, nor conversant, but perhaps they’re just trying to be efficient and keep the line moving. 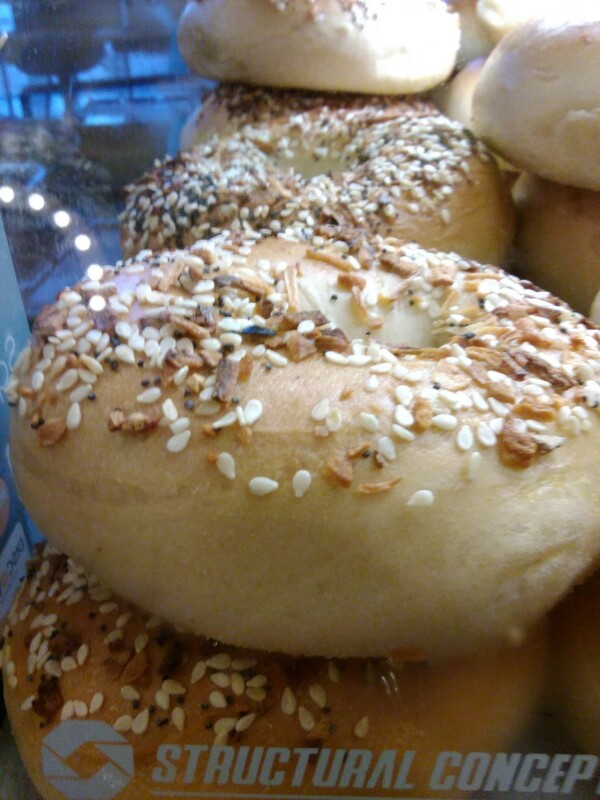 But their bagels are delicious, and so many choices. My favorites are pesto, everything on it, cinnamon raisin, blueberry, cranberry orange and of course you’ve got to have the whole wheat and plain for rounding out the order. I’m just hoping that they remain open, or it’s strike three for me and my bagels. I may just have to go back to plain old bread.